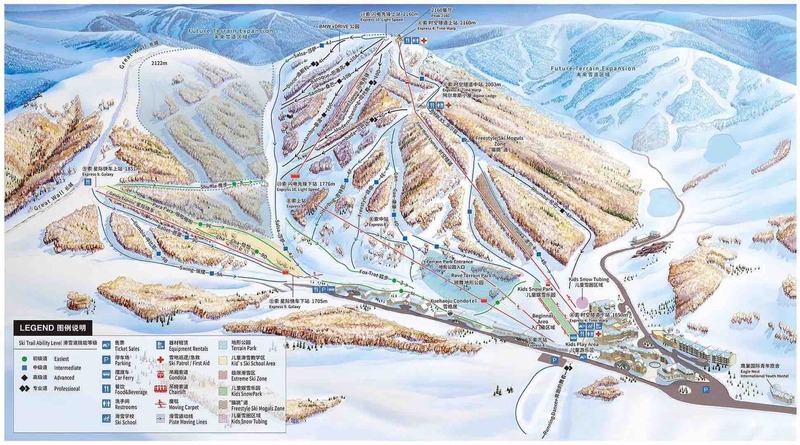 Skiing in China - Want To Try The 2022 Olympic Slopes in China? 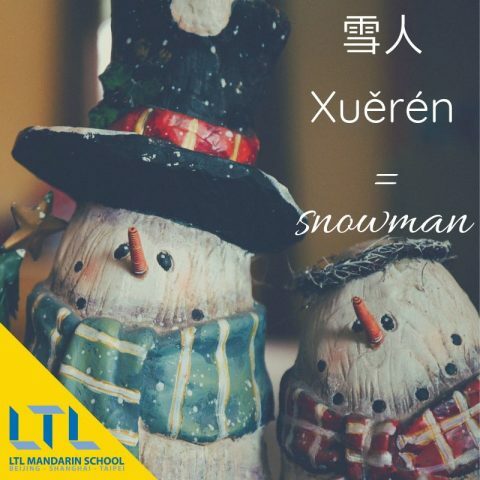 Do you want to go skiing in China? 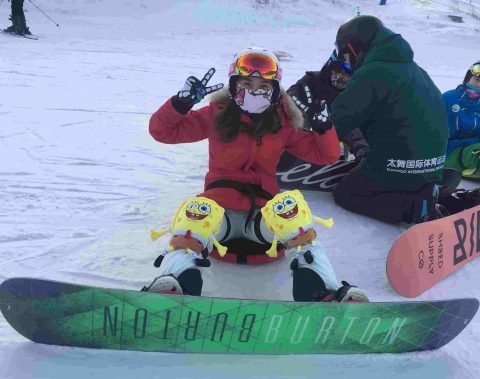 Would you like to try snowboarding near Beijing? 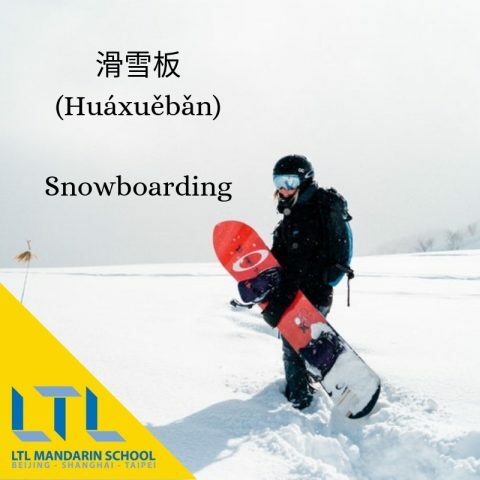 Try the slopes where the best skiers or snowboarders will fight for Olympic medals during the Beijing 2022 games! 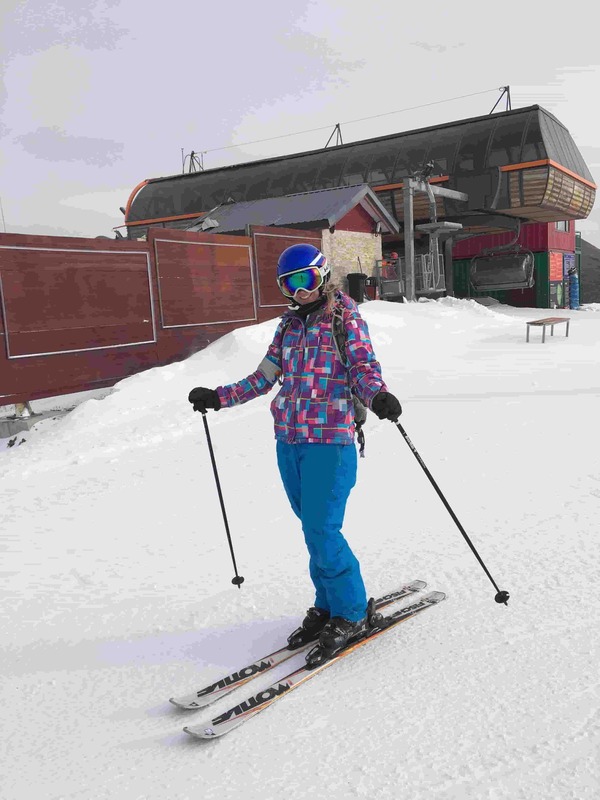 Thanks again to Lenka for putting into words her ski trip experience for our blog. Don’t forget to check out Lenka’s earlier blogs on her and her daughter’s trip to the hospital as well as experience living in a homestay. You can also find many more student stories on our blog and review page. Just 4 hours by bus from the city and with the high speed train which is already under construction only 50 minute from the city, discover Chongli. The right place to go for a weekend skiing close to Beijing. It is easy to organise, you can buy a packet trip from a local tour agency. They organize everything: transport, accommodation, and the equipment – you can rent everything, from skis to clothes and even gloves. Read our experience and get ready for your own skiing adventure! 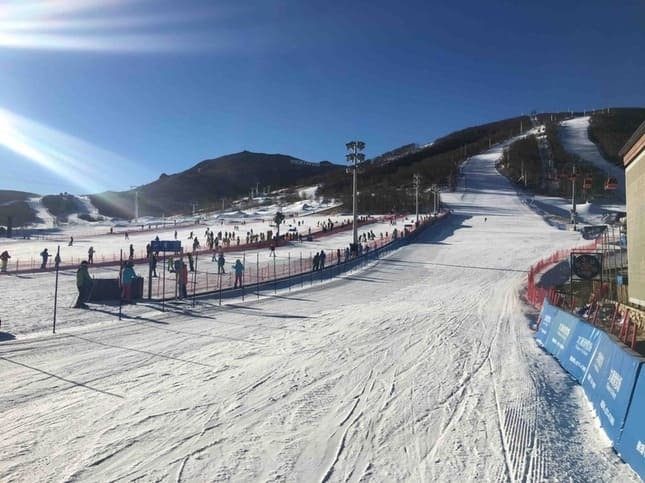 As skiing is getting hugely popular in China, many agencies offer skiing or snowboarding trips near Beijing, weekend trips to Chongli and the prices vary a lot. It all depends on the accommodation and if you go with a local tour agency or one which specialises in trips for foreigners. You can stay in a luxury hotel or apartment just underneath the cable car. Or you can find something a bit simpler if you don’t mind a half an hour drive to the slopes in the morning – a hotel in the town of Chongli itself, with sufficient space and a private bathroom. Remember: the travel agencies provide the transport and it should be included in the price, check when you make the booking. … So what is skiing in China like? 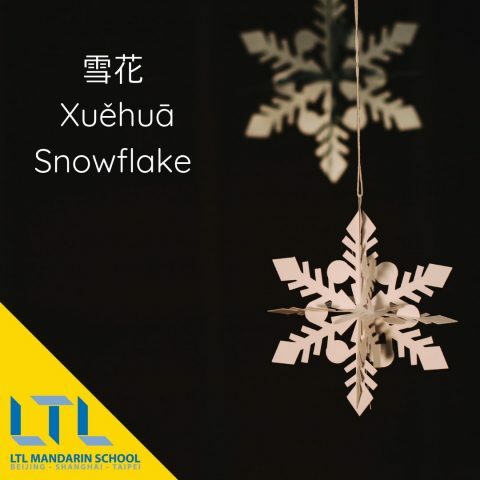 Chapter 5 – How much is a Skiing Weekend in Chongli? There are plenty of slopes open already and plenty currently under construction. China is investing hugely in the skiing industry because of the Games and wants to have millions of skiers before 2022. Unlike in France for example, the slopes are not connected to each other, so you will have to choose one for each day or stay in the same for both of the days. The travel agencies usually offer two specific resorts for a weekend from which you can choose. In each there are enough slopes and also a park with jumps, so don’t worry about getting bored. 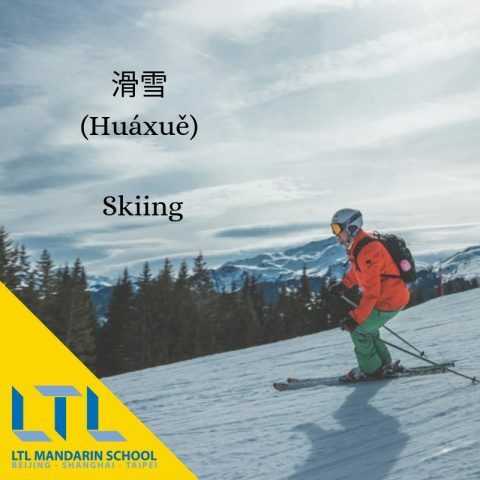 Furthermore most of the Chinese are just beginners, spending their time at the ski school or on the very flat green slopes. 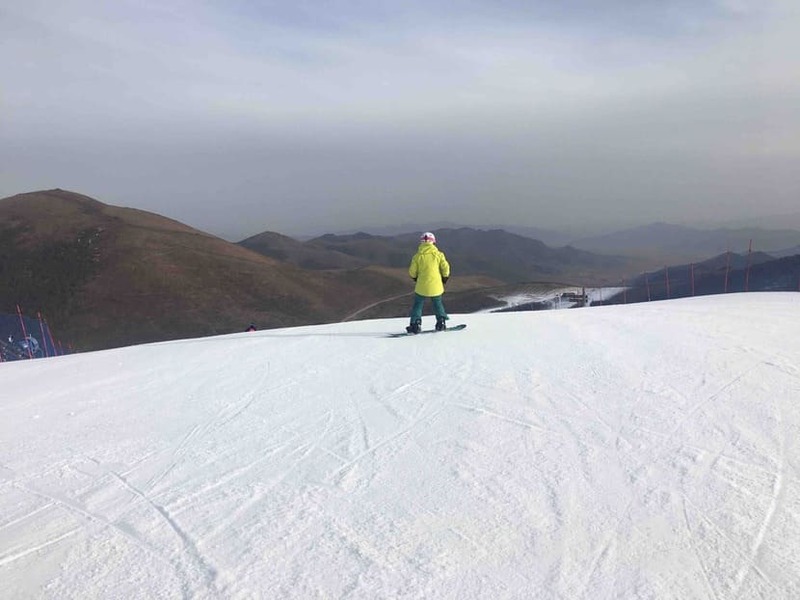 So most of the other slopes are almost empty and well prepared and with no bumps or icy plates till the late afternoon, which makes skiing in China very special and enjoyable. The lifts (all chairlifts or cable cars) work from 8 a.m. till 4 p.m.
Green, Blue, Black – that is how slopes are marked in China. No reds. Greens are just flat, for the very beginners and even if you have just been skiing few times before, you will probably be able to do one of the blue slopes after just a couple of rides on the greens. The blue slopes are something between “our” blues and reds. Each is a bit different and do not worry if you see a sign “Advanced Skiers Only”. The Chinese pay a lot of attention on security and as mentioned above, most of them have just started, so in that sense it is understandable but don’t be scared, the slope really is blue/red. Black slopes vary – it can really be steep in some parts, but many of them are just between red and black. Just try. And if the blues are almost empty, on the blacks you will hardly meet anyone. 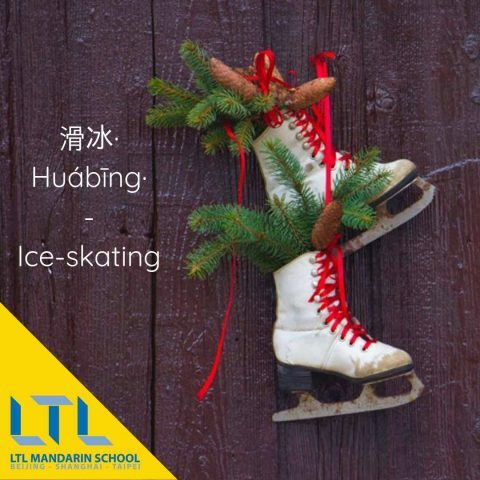 Skiiing in China – Artificial Snow and very cold! As the area of Chongli is very dry, it rarely rains or snows so all the snow is made artificially. You can see dozens of snow canons everywhere, but as the temperatures often go to minus 20 and more, they can provide snow day and night, so they have enough. Unfortunately the frost takes away a little from the comfort and joy of skiing, but no worries, just take a face mask and good gloves. If you haven’t taken them from the city already, you can easily buy them in the shops directly in the resort. The price varies from around 200 CNY for a common Chinese brand up to more than 1,000 CNY, if you prefer a traditional skiing brand such as Spyder, Kjus etc. In some resorts you can easily rent everything you need right under the ski lifts. Though as we have not experienced all of the results, we can’t say for sure whether this is the case in all of them. There are also plenty of rental places in Chongli itself, but if you are there with a tour agency, everything will already prepared for you once you arrive in the hotel. Everything you need, skis/snowboards with boots, ski trousers and jackets, helmet with goggles, gloves. The agency asks you for the size, but if something does not fit perfectly, they will change it immediately. No need to take your own snacks! The hinterland is high level. TIP – You can get small or big lockers for 15 or 30 CNY respectively and they will even store your ski equipment overnight for free! As for the restaurants, they are pretty much the same as we are used to – self service restaurants with wide choice of different meals – just no burgers or Germknödles but rather Chinese style meals (big bowl of noodles or rice with meat for example for about 45 CNY, or a simple soup for 18 CNY). In Thaiwoo ski resort, which is one of the most popular, you can also find a Starbucks and a restaurant offering western cuisine. This one is a perfect Apré ski tip as the bar can satisfy all your tastes as well! And can you imagine the end of great skiing day without a good drink? How Much is a Skiing Weekend in Chongli? As mentioned above, this pretty much depends on the accommodation. This can vary from 1000 CNY to more than 5000 CNY for a double room for two nights. If you book an organized trip you will probably pay much less as the local agencies choose a reasonable quality hotel for a great price. It is a great budget option to go with a tour agency not oriented towards foreign customers, as it is much cheaper. In such cases however the guide only speaks in Chinese. What to say at the end? Don’t miss your chance for skiing in China, Chongli is a perfect place if you want to try skiing near Beijing! It is a great experience, very good skiing and furthermore it is amazing to see how fast things are moving in Chongli. The investments are huge and not only slopes are being built, but the facilities such as hotels, rails and roads. I am convinced Beijing 2022 will show us a new level of the Olympic Games.